As a graphic designer, I realize the importance of having access to the most current fonts, graphics, tutorials, photography and anything else design related. Useful design resources are vital for getting those creative juices running and staying up to date. I've scoured the internet far and wide and have put together a comprehensively awesome list of 101 graphic design resources that will come in handy when you're conjuring up your next fantastic project. Whether you're a student creating your custom portfolio book, a pro working on a fresh website or branding project, or you're gathering some inspiration for a personal project, this list supplies a ton of graphic goodies at your fingertips. Take a look and find everything you need from a fresh color scheme to that game-changing typeface. The Noun Project gives you access to 100,000 free icons. Simply search the keyword of what you're looking for and hundreds of icons will be available to download as well as groups of icons relating to the subject you searched, created by a designer for your use. Explore Vecteezy’s largest vector community for icon inspiration or download your own free icon to keep the ball rolling on your current design project. Vectors are especially helpful for the production of your portfolio book since this is the format that laser engravers use to produce the highest quality etching. With Vector Me, you can search by “Vector”, “Logos” or “Icons” depending on your design needs. Scroll through thousands of vector art and download your favorite, for free. Vector Me will also show you similar vectors based on what you’ve chosen. Patterns can be time consuming to create on your own. Subtle Patterns offerers 414 patterns to designers all over the globe! Scroll through the options and download the perfect pattern for your design project. Creative Market is the go-to place for all things design! From photos to fonts, the folks at Creative Market have provided designers a place to go for inspiration and easily download templates, graphic, fonts etc. to use in their creations. You guessed it! This site contains infinite icons for you to search through and find just what you’re looking for. They are continuously growing and adding new icons. Design Instruct offers tons of free resources for designers such as Photoshop actions and vectors. They also have a wide variety of useful articles that are worth the read. Here you can download free Photoshop brushes, textures and effects to help create the most rad images. Scroll through hundreds of textures and patterns or search a keyword to find exactly what you’re looking for. Have a colour in mind? Narrow down your search in Pattern8 by selecting the colour you’re looking for along with a pattern that you love. For anyone looking for that perfect science or education icon, this is the place for you. Jolly Icons offers designers 400 hand drawn icons, in the same style, that will bring personality and joy to your project. Browse through this set of 500 icons that have all been inspired by Helvetica Neue. Who knew icons could be designed based on a typeface? The perfect resource for all your business and office icon needs. The set displays 340 hand drawn icons for you to choose from. This is a free downloadable app for Photoshop that allows you to search for icons and then click to make a new layer shape that you can edit. For only $10 a month Pixeden offers you unlimited downloads of various mockups. 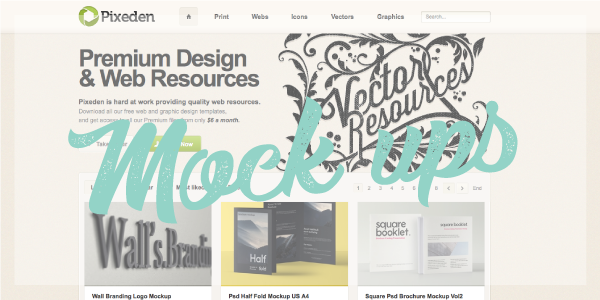 This site provides mockups you haven’t seen before so you can stand out from other designers. Graphic Burger is most famous for it’s wide variety of free mockups. Simply download the PSD file and place your design on the proper layer. 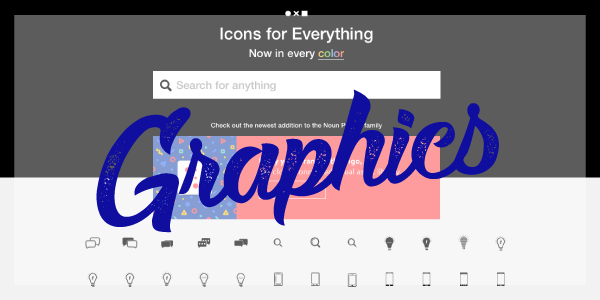 Graphic Burger also features a variety of icons at your disposal. The guy behind Design Lazy has created design essentials for all to use including mock-ups and web design templates. You can also browse through the inspiration section if you're experiencing a creative block. Media Loot supplies a wide variety of free mock-ups as well as fonts, icons, templates and patterns. The folks behind Pixel Buddha are offering designers free graphic resources to help excel their design projects. They update their site each week so the resources are fresh and current. The only clothing mock-up site you’ll ever need. Find fresh mock-ups and add your design for a stunning display! An easy and efficient way to find the HTML code for symbols. You might also want to check out their web design resources for featured deals on web hosting, Wordpress templates and more! Not a web developer? Neither am I! Webydo’s got us covered. This site allows you to create a stunning website without code. Scroll through a variety of wireframes to get your site going and the best part is, it’s free! Squarespace makes web creation as easy as 1,2,3! Select one of their templates and replace everything with your own content, et voila, you have a beautiful professional site. For anyone building dynamic web content this is a great resource. The blog features news, editorials, podcasts, resource links, code examples, and more. Searching for web and app design icons? Look no further! Sketch Active offers 360 icons made specifically for web and app design. This site has provided developers with a variety of flat colours for their latest web development project. You can also search through their collection of website inspiration. Cameron McEfee created this photoshop plug in to solve the problem of calculating the width of navigation elements in designs every time clients made navigation changes. Guideguide allows you to create your own guides on canvas, artboards, selected layers, or your selection. Working on app design? Then this is just the resource for you! Simply create app icons of all sizes in one click. UI Cloud is the largest use interface design database in the world. Search by category and find just what your looking for to complete the perfect site. Size Marks is a photoshop script for web developers that converts rectangular marquee to labeled measurement marks. An awesome resource that allows you to browse through what’s hot and trending in website development and help start the process of designing your own site. 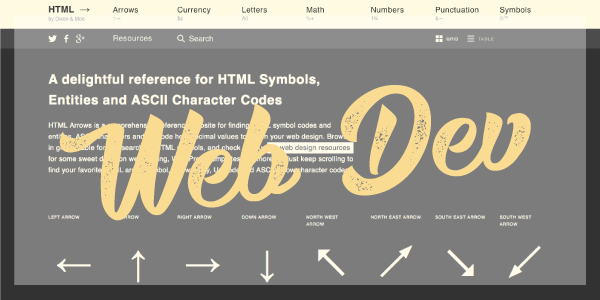 A free online resource that covers all areas of web typography. If you find it useful, which I'm positive you will, why not give them a little donation as well. UI Space offers high quality, hand crafted PSDs, vectors, fonts and mockups perfect for all your web design needs. Search for what you had in mind or take a look at the editor’s choice for inspiration. Design an awesome website, using Photoshop. Choose a template off Velositey and edit it until you love it in Photoshop. O’Reilly holds a number of web resources both free and paid for web developers every where. Submit your own questions and browse through responses as well as video content to help drive your site. An app for Photoshop that supplies you with 13 filters identical to the ones from Instagram. Unsplash releases 10 new high resolution royalty free photos every 10 days. This site is great for their abstract stock images which are free to download for commercial or personal use. Find all your nature and city shots here and free commercial use stock photos. Gratisgraphy adds new photos weekly and specializes in humorous and high contrast photos. Find free high resolution landscape and nature focused photography as well as 7 new photos added every 7 days. Starting a blog? StokPic has thousands of awesome lifestyle photography and adds 10 new photos every 2 weeks. 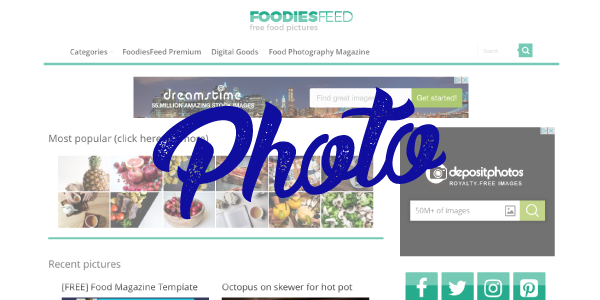 While this site might make you hungry, it contains hundreds of food photos that are perfect for any food related site. Getrefe contains stock photos that aim to be “real life”, meaning photos you’d take of your morning coffee or snuggling up with your cat by the tv. This site delivers a fresh batch of stock photos straight to your email each month that are free for commercial or personal use. DIY Photography is a great place to go for tips and tricks on all things typography. Whether you’re just learning or already an expert this site will help you out with any questions you may have. Don’t have a fancy shmancy DSLR camera? This site has got you covered. Read all about how to use your iPhone to take professional shots. One of the best photography magazines out there. Read about interviews with professional photographers all over the world and check out the best international photography. A great place for photo inspo to get that perfect shot! This is a site for photographers where they can add effects to their photos. It is easy and efficient to use, not to mention, it’s free! Browse through palettes, patterns, shapes and colours until you find the perfect scheme for your project. Each post also shows the amount of “love” it got so you know whats hot and what’s not. Adobe has provided a free site to experiment with the colour wheel and create palettes based on analogous, monochromatic, triad, complimentary and compound colours, as well as shades! Find a design you like and select on of the colours from it to see more designs with that colour. An awesome tool to find that perfect colour scheme! You can even download the colour scheme from the design you like. 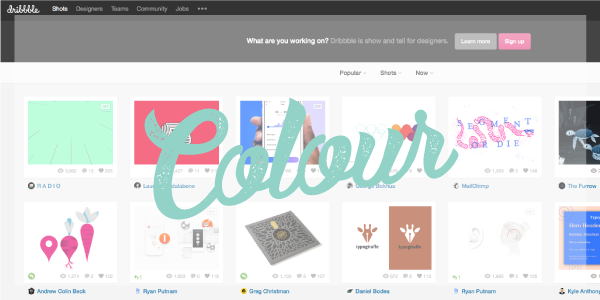 Coolors is a great resource to find the perfect colour scheme. Simply hit your space bar to browse through schemes and adjust once you find a colour or colours you love. Colour schemes can be difficult to choose, we know. Scroll through Color Farm’s endless variety of designs with a wide array of colour schemes until you find the perfect one. Each example will also show the hex value for the colours. Your go to place to convert RGB colours into CMYK, Pantone and more. A great tool to find different shades and tints of a colour that you love. Specifically made for web designers and web colours. A Chrome plug-in that allows you find a colour palette based on an image you found online. You simply, find an image you like, right click and select “Palette Creator” and retrieve the colours from the image. 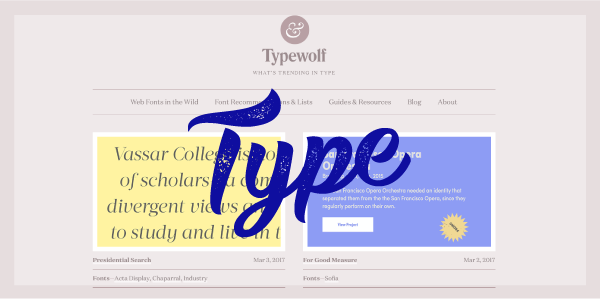 Typewolf provides you with current type trends and a list of the best fonts based on various subjects such as types of fonts and where the font will be used. One of our favourite features is the font combinations. If you have one font of mind you can use this to find the best font to match. This is most designers go to place to find thousands of free fonts and search by category. Font Squirrel is a great resource for matching fonts. You can upload a .jpg of a font you like and the site will generate multiple options that look similar to the font you found. The site also features many free fonts for use. Another great resource for finding just the right font. Whatthefont also allows you to upload a photo and the site will tell you what fonts resemble the image. Fontshop is a great resource for learning type terms to brush up on your knowledge and sound like the professional you are. The name says it all. Find a font you like and browse through examples of the font being used for inspiration on typesetting. Typecast is a useful text editor for web development that allows you to style HTML text elements, make project wide changes in seconds and focus on more precise areas of the type. 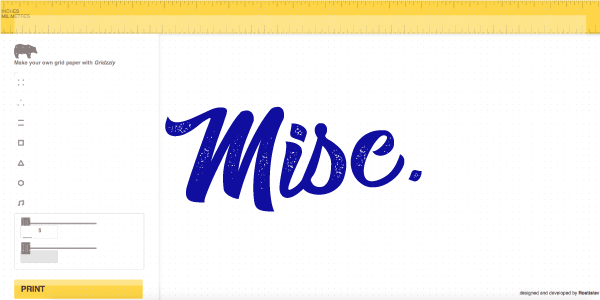 The creators of this site set a goal to annotate a web typeface everyday and point out the beauty of the font that most people wouldn’t notice. This is also a great resource to explore typography terminology and learn new words. Another great source where fellow designers highlight the beauty of a font. You can also find dozens of free fonts to download and appreciate based on what you read! Search through hundreds of free fonts until you find the perfect one. Or submit your own font and and get your name out there while building up your portfolio. Looking for a handwritten font? This site features 10 fonts that are beautifully designed. Everything you need to know about typography and type design. This curriculum will answer all your questions and curiosities about the type world and how type is best used. If you already have Creative Cloud, check out Adobe’s Typekit. It comes with Creative Cloud and offers a wide variety of fonts at your disposal. A typography blog that reviews new typefaces and discusses typographic design. A great resource for all the type nerds out there who can’t get enough! This is a type designers heaven. Scroll through multiple pages of beautiful type and you’ll be sure to gain inspiration for you latest typographic masterpiece. The best resource for all things package design. The Dieline also offers a free downloadable PDF with a variety of packaging templates. Your resource for all things packaging from industry news, packaging materials, production and effects processes, and examples of packaging design categorized by industry. Ambalaj is the personal site of packaging designer Kristina de Verdier. 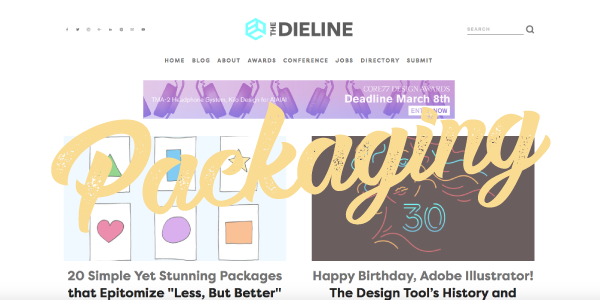 If you’re interested in expanding your packaging knowledge we recommend checking out her blog section for some awesome reads. It’s right in the title, Packaging of the World showcases beautiful packaging from across the globe that is useful for inspiring your own packaging projects. 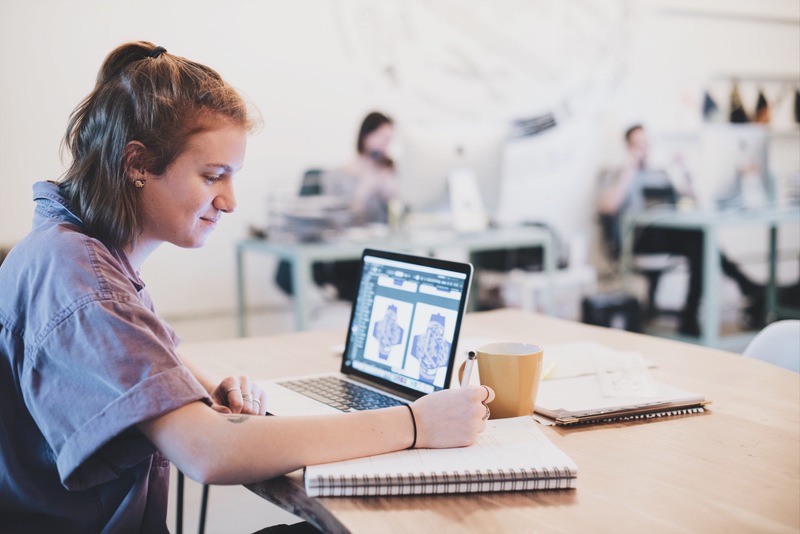 Lynda offers thousands of educational courses for new designers. This site will help kick start your knowledge! Adobe has launched a place to go and sign up for a course for beginners looking to learn and intermediates looking to expand their knowledge. As we like to say, there’s always more to learn and room for improvement! Discover over 20750 free tutorials as well as online courses for more in-depth explinations. The place to go for web development tutorials and lessons. This site has a wide array of lessons for beginners and experts along with quizzes, examples and reference guides. Find inspiration based on the best and most effective designers around the globe. Search through award winning work and gain ideas for your own designs. Browse through articles about what’s happening in the design world, from trends to tips. Watch out though, you could get lost on this site for hours! 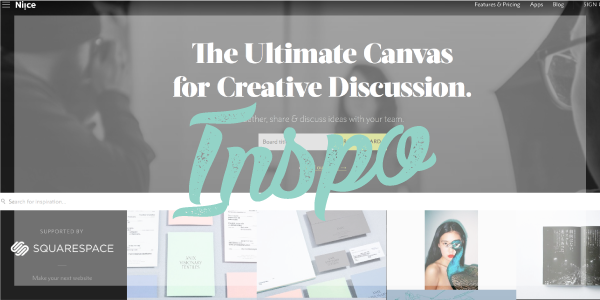 A great tool for creating mood boards with your design team and colleagues. Niice keeps everything in one spot so you won’t loose your train of thought. Stay up to date on the latest design news and browse through fresh designs. You might also find your newest fav designer to draw inspiration from! A great resource to browse through other designers portfolios and gain inspiration when creating your own. Notch displays general inspiration that will trigger an idea or help move forward with an existing idea. You can also submit your own post and potentially be featured on the site! We love Booooooom because it showcases artists’ work who are unique and have evidently put their personality in their work. This site is a great place to draw inspiration when you’re struggling on a project. Behance is a an awesome portfolio site for showcasing your work and viewing other designers portfolios. The site allows you to “like” others projects and shows you how many people have liked yours as well as how many views each project has. 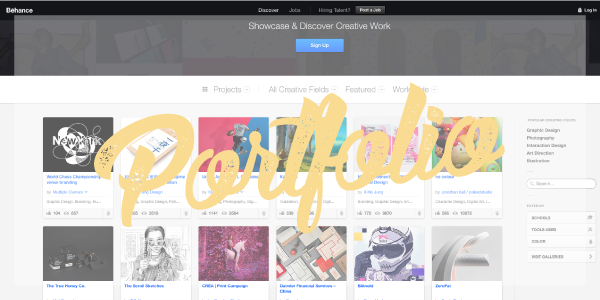 If you’ve already signed up to Creative Cloud you have access to a free portfolio builder. Adobe has provided an efficient and easy to navigate portfolio site builder that’s perfect for designers. No more worrying about code, it’s all straight forward here! Showcase your work in a user friendly and flexible interface. You have the option to sign up for free, with limited uploads or pay $12 a month and uploads are unlimited as well as some member bonuses. Coroflot is a site built by designers for designers who want to get exposure and showcase their work in a professional and intriguing manner. If you’re looking to creative a beautiful online mobile portfolio, Viewbook is the place to be. Viewbook sites are mean to be natural and simplistic to gear all the attention toward the work. Cargo Collective provides a platform for talented individuals to gain exposure through sharing through work and viewing others creations. Moonfruit provides multiple fresh and stylish templates to get your website started. The editor leaves room for creativity so the site will be unique and personal to you. Looking to bring your portfolio to life in the tangible world? You know the list isn't complete without a shameless plug for Klo Portfolios. We make the highest quality screwpost portfolio books with the largest selection of rad treatments and materials and we'll take care of you every step of the way so your final portfolio book perfectly reflects your own style. No grid paper? No problem! Gridzzly’s got you covered. Make your own grid paper and print it out for free. Perfect for logo sketching. Fribbble is a great resource for all things design. Draw inspiration from other designers work or download free resources to get your project going! Skillshare gives designers an opportunity to learn from fellow designers or even teach a class of their own. 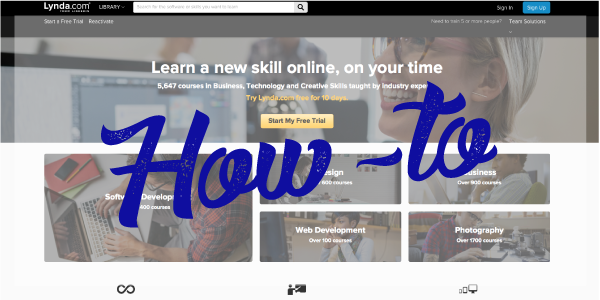 Pick up new tricks or teach others your own hot tips to make designers even better! Kaku is a free photoshop plug in that allows you to translate layers to the language of your choice. Perfect for dealing with across the sea customers or employees. Read all about freelancing and learn some fresh tips on how it’s done. A great resource to excel your career as a freelance designer and get your name out there.